This book not only chronicles the struggles after freedom, but its subtext asks, to what extent does society owe them something? Every now and then, a tiny crack of light shows through the dark, brutal realities of the US criminal justice system, and a falsely convicted victim walks free of the prison doors after spending decades behind them. But for these former prisoners, exoneration is not the end of the story. It is only the beginning. 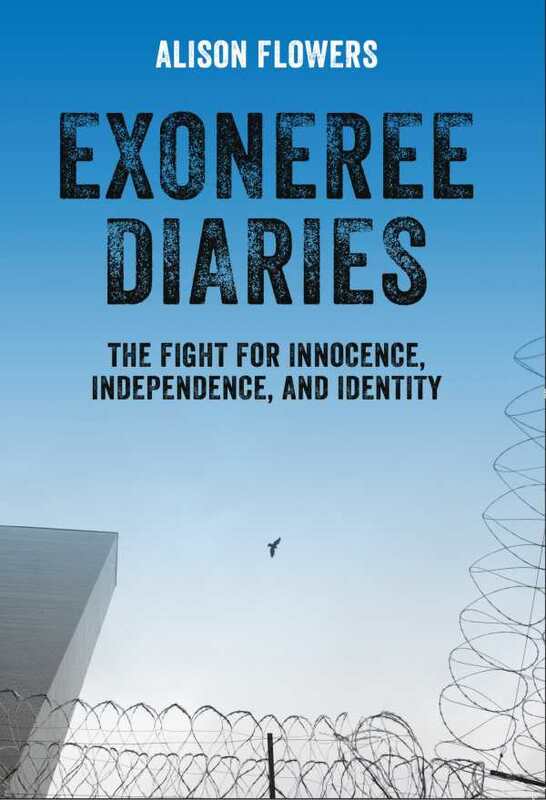 And Alison Flowers, in Exoneree Diaries, effectively provides the narrative of their lives. Flowers tells the story through the experiences of four exonerees and their loved ones. She approaches their tales in a newspaper style, told matter-of-factly, without attempt at pathos or interjection of her own voice. She lets these four people pop from the page as individuals, their stories emerging in what almost seems like real time. She begins each exoneree’s tale with his or her release from prison, then turns the chronology back to the time of the big mistake, when a corrupt cop, or falsified evidence, or a lying witness, sealed their fate. The minutiae of everyday life is chronicled, as they learn to take public transportation, use technology, become acquainted with now-grown children. There is the tale of Kristine. She was falsely accused of setting fire to her trailer home, which resulted in the death of her child. What comes through in her story is strength, intelligence, and perseverance. There is the tale of Jacques, exonerated after serving more than two decades for a murder he did not commit. Jacques was freed into a world he wasn’t prepared for and with a paranoia about his new surroundings. His story is typical. Tough guys in prison are often petrified of the world after being released. The nightmares, the phobias, the poor self-perception, continue long afterward. This book not only chronicles the struggles after freedom, but its subtext asks, to what extent does society owe them something after robbing them of a real life for decades? The criminal justice system spits out shells of men and women. None of the tales in Exoneree Diaries have “endings.” Even for those who never committed their alleged crimes, the sentence is life.